Managing your roulette bankroll is one of the most important aspects when gambling, although perhaps one of the least considered. A gambler who has an edge in their particular area might actually become a losing player, purely down to a lack of money management. Roulette differs from some other forms of gambling in the fact that you’ll never have a positive winning expectation in the long run. In many ways, this makes bankroll management when betting on roulette even more important. Why do You Need to Manage Your Roulette Bankroll? 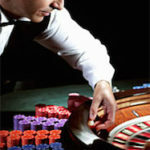 When playing roulette your main aim is obviously to win money – along with enjoying the game. However, as any experienced roulette player knows, in the long term you’ll lose money, as the house edge can never actually be beaten. From a roulette bankroll management plan, you’ll want to try and be in a position where the losses will never actually wipe you out, whilst giving yourself as many opportunities as possible to hit that purple patch where you’ll win some money. Doing this, you could find yourself in a position where you have upset the odds and actually make money from the game in the short-term. The first thing you should consider is the total amount of money you are willing to gamble at a roulette table. This amount should be the maximum you are actually willing to lose. This is now your bankroll. Deposit this amount to your casino of choice and you should aim to only use these funds at roulette. 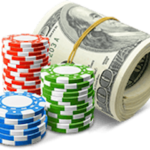 If you are tempted to play other casino games you should set up a separate gambling bankroll for these games. Your aim should be to take a certain percentage of your plan to the table at any one time. This amount is up to you, as a suggestion, 10% might be a good figure. Having decided upon a percentage, you should stick to this and never vary from this amount. Obviously, it is completely up to you when to leave the table and you’ll be able to do this at any time. However, you should try and have a plan at the table, and here we suggest a plan for both losing and winning sessions. Having taken your percentage amount to the table, you’ll find many occasions when you’ll lose the whole amount. That is the nature of roulette – you’ll have sessions where everything goes wrong. This happens, but it’s what you do next that counts. Having lost that amount, quit. You’ve lost on the session, so get out, and don’t reload. This is the most dangerous point for any gambler, as the worst thing you can do is to try and chase your losses, and many gamblers will actually lose an entire bankroll by doing exactly this. If you do leave, you can start again the next time with a clear head and it will be much easier to stick to the plan the next time you play online roulette. We’d suggest leaving at least a day between sessions. On a much happier note, you’ll also have sessions where you’ll win. This is also the nature of roulette – you’ll have sessions where everything goes right. Managing these winning sessions is just as important as managing the losing ones. It is very easy to be sitting on a nice profit at the table, and then to lose it all on one spin of the wheel – and this can be heartbreaking if the amount is a sizable one. We suggest setting a winning limit where you’ll walk away having hit this limit. Once again, this amount is up to you, but a good amount would be between 30% and 50% of your entire roulette bankroll. Having hit this amount, you’ll lock in the winnings and stop for the day, coming back for the next session with a bigger bankroll. There is another way to set a limit at the table – this being time. You might give yourself a set amount of time at the table, and if you have money at the table without hitting the upper limit, you’ll walk away anyway. An ideal roulette bankroll strategy varies because betting patterns vary between players. An optimal roulette strategy depends on your bankroll. Because roulette has so many different wagers with a lot of volatility, the ideal roulette bankroll depends on the types of bets you make. The optimal bankroll for the average roulette player is $60 to $100 in base bets if you’re placing outside bets. The ideal roulette bankroll for inside bets is $150 to $250 because you’ll have a lot more losing bets interspersed with big winning spins. If you are risk-averse, then you’ll prefer flat betting. This is making the same size bet every hand. Remember that the odds of winning do not chance, but you win or lose in the same increments, making it easier to keep track of your bankroll. If you want small wins most of the time with the risk of one large loss, then you should try progressive bets like the Martingale, D’Alembert, or Fibonacci. Progressive betting techniques do not assure wins, the way some authors and bloggers might suggest because they do not beat the house edge or change the mathematics of the game. Martingale and Fibonacci bets lead to a lot of small winning sessions and one really bad losing session which mathematically equalizes the expected return. If you are a thrill seeker who wants either dramatic big wins or big losses, then you should let bets ride after wins, hoping to continue the lucky streak. Letting it ride is essentially a double-or-nothing bet for the player on a hot streak. If you want a big win or no win at all, letting the bet ride is a way to achieve that goal. A roulette bankroll calculator is an online tool to help roulette gamblers determine how much to bet on each spin. This keeps you from betting too much on each spin and blowing your bankroll, or betting stakes too low and getting bored with the game. Players use bankroll calculators in a variety of casino games, especially poker, but remember to use a dedicated roulette bankroll calculator when playing online. Each game has different dynamics, so the resource you use needs to be designed for European Roulette, American Roulette, and so on. The term “money management” has a lot of different meanings, so you’ll come across a lot of bankroll tips when gambling. The roulette bankroll tips below are designed for those who want to manage their bankroll during a typical trip to the casino, which is broken into several gaming sessions. Keep in mind: These gambling tips do not suggest ways to beat the casino, but methods to stretch your gambling funds and maximize the fun and excitement. Step 1 – Set a Win Goal: A win goal is the number of winnings at which you decide it’s a winning session and you walk away from the table. Win goals help a player lock in their winnings. Enjoy your success a bit, walk away from the table, brag to your friends and family a bit, and save the bankroll for a later session. Step 2 – End the Session: If you start with a $200 bankroll for a session, let’s say the win goal is $500. Once you get to $500 in winnings for that session, you walk away from the table – no matter what. If you’ve won $495, then it’s okay to make another bet. Step 1 – Set a Loss Limit: A loss limit is the opposite of a win goal. It’s the number of losses that cause you to walk away from the roulette wheel. Loss limits keep a player from going on tilt and chasing their losses, a classic sign of compulsive gambling. Once again, you save your bankroll for a later roulette session. 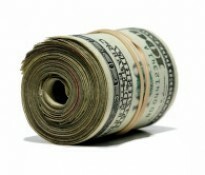 Step 2 – Bankroll Percentage: In this case, a player calculates how much of their bankroll is too much to lose. If you start with $200 in your pocket, then perhaps the loss of 50% of your bankroll is too much. If you lose $100, you walk away from the roulette table. Most players set a loss limit of 20% to 25% of their total bankroll for any one session. Here is an example of how bankroll management works. A gambler considers they’d like to invest $500 at the roulette tables. They decide that they’ll take 10% to the table for every session and set a winning limit of 30%. They take $50 to the table the first time and unfortunately lose the whole amount. The person decides to play again two days later. Their bankroll is now $450, so they take $45 (10%) to the table. This time the player has a purple patch and finds themselves with $135 in chips. This amount is exactly 30% of the bankroll, so the player stops. They walk away and put the $135 back into their roulette bankroll, which now sits at $540. New roulette gamblers often have questions about managing their bankroll. Below are some of the frequently asked questions new roulette players ask, answered in Q&A form. What is a Bankroll in Roulette Gambling? A bankroll in roulette gambling is the amount of disposable income you have available for making bets. A bankroll is not your bank account; it isn’t even the amount of cash you have allotted for vacation. Instead, a roulette bankroll is the amount of cash you have earmarked for gambling, determined in a reasoned manner before you step on a casino floor. 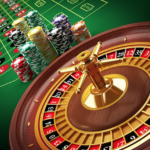 As a general rule, players do not wager more than 1% to 2% of their bankroll on a given spin of the roulette wheel. Never exceed 5% of your bankroll, even if you are a risk-taking gambler. Remember that you want to have multiple-hour sessions, so you want to nurse the bankroll for an entire session of bets. Does a Welcome Bonus Affect a Roulette Bankroll? Yes. If you accept an online deposit bonus from a casino website, then your player account is your effective bankroll. Calculate your roulette bankroll as all or part of your casino account, including the deposit bonus. Since you have to gamble the bonus cash to complete a wagering requirement, it is part of your bankroll. Being good at roulette requires a knowledge of the many different bets – inside and outside – on the table’s layout. Along with an understanding of the general odds and expected return of each bet. Roulette has no strategy to learn, so the key factor is learning how to place bets. Which Roulette System Works Best? No roulette system changes the expected return of the game, which is constant for most bets on the layout. The great fun of roulette is you don’t have to worry about complicated roulette strategies. Use roulette money management to make sensible bets and keep the excitement going for the longest time possible. Does Bankroll Management Change from American to European Roulette? Not really, but you should be aware that you can expect to lose more money with American Roulette than European Roulette. This means your loss limit might be different because you can expect to walk away from the table quicker. What is a Safe Bet in Roulette? The safest bet is an even-money bet when playing European Roulette or French Roulette –use the “en prison” or “la partage” rules. This is the safest bet because the house edge is only 1.35%. Even-money bets in roulette include the Red/Black bet, Even/Odd bet, or High/Low bet. How Much is a Bankroll Supposed to Be? If you want to make $5 bets at the roulette wheel, then your bankroll should be $250 to $500. If you want to make $10 bets, then the bankroll needs to be $500 to $1000. If you’re a high roller and you want to make $100 bets, then a good roulette bankroll would be $10,000 to $20,000. A bankroll is supposed to be 50x to 100x your betting stake.